I don't know how I found time today to finally get in the sewing room, but I did. When both hubby and kitty were sleeping this afternoon I snuck in and got the machine humming. 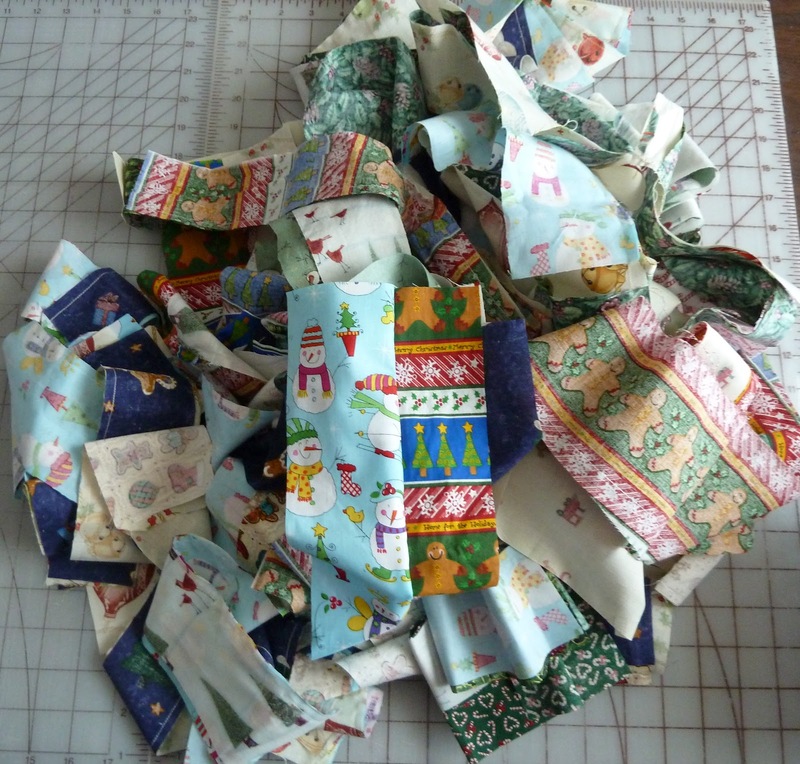 On Day 518 when I cut all those stockings for Stockings for Soldiers I had lots of scraps left. Big, little, and everything in between. I'm attempting to use up all those scraps to make even more stockings. So all those scraps were cut down into strips, all those strips sewn together with another strip. Now the next step is figuring out where to go from here. Probably sew strips to strips and then...?? ?